Last night I caught up with my best friends from home and got my chile con queso fix at a local Tex-Mex restaurant, Los Tios. 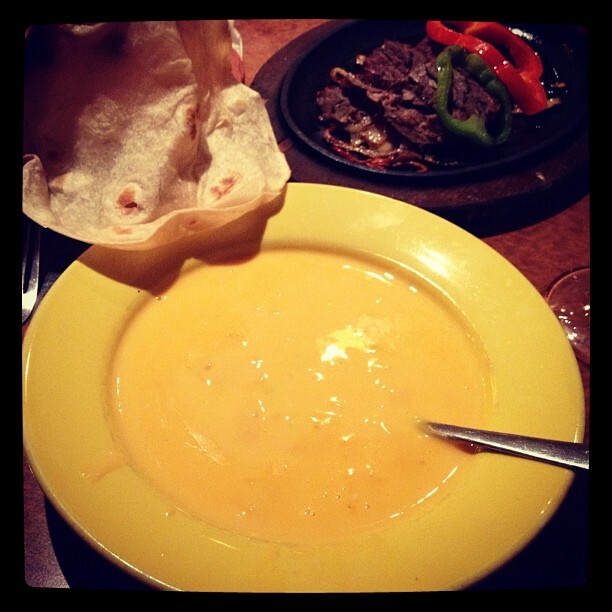 Queso and good friends are the perfect combination! Luke ordered fish tacos, which were also tasty. It’s amazing how quickly time flies when I go home. I always want just one more day! Unfortunately, I’m already headed back to New Hampshire this morning. 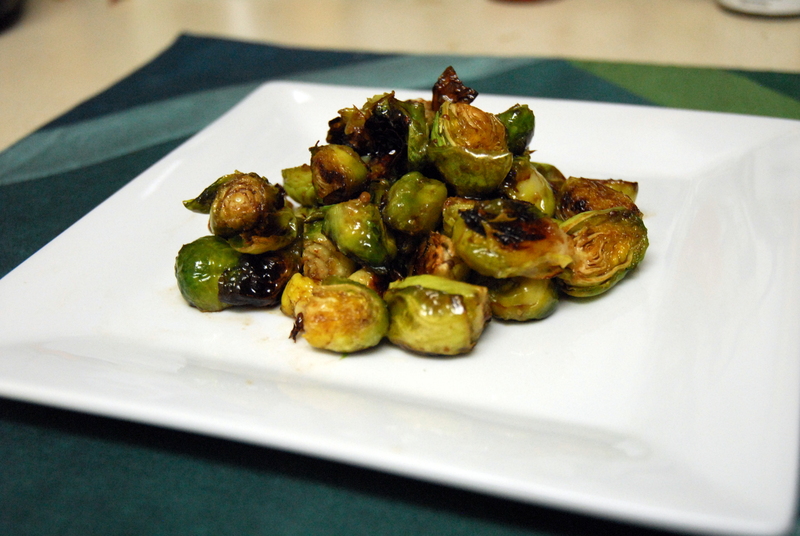 Before I take off, I wanted to share a tasty brussels sprout recipe I recently made: Sweet and Savory Balsamic Brussels Sprouts. They were super easy to put together and pretty good too. I should mention that I am not a huge mustard fan, and if I were, I would probably love these more. Luke is a mustard fan and he thought they were excellent. Chop up your brussels sprouts into halves. Toss them in olive oil and then roast for 30 minutes. Meanwhile, mix together the the sauce ingredients. 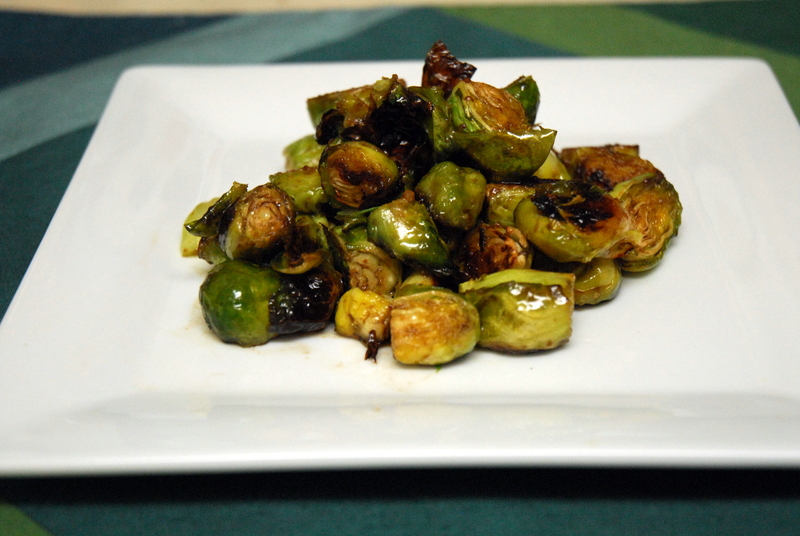 When the brussels sprouts are done, toss them in the sauce. 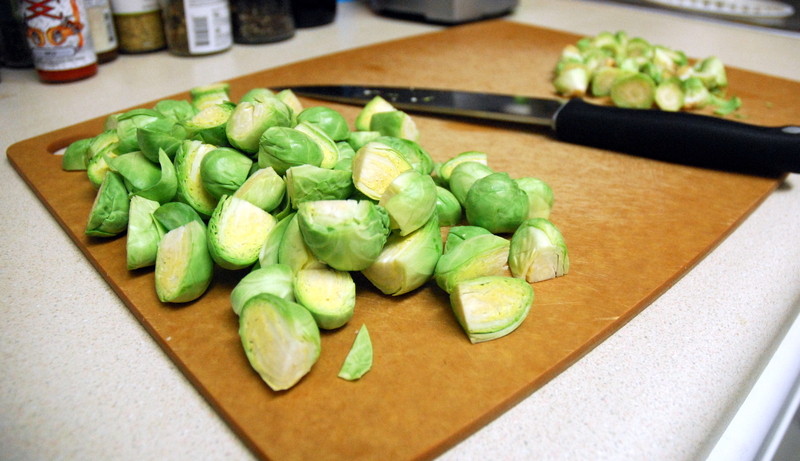 2) Peel off the outer leaves of your brussels sprouts and chop the ends off. Then chop them in half. 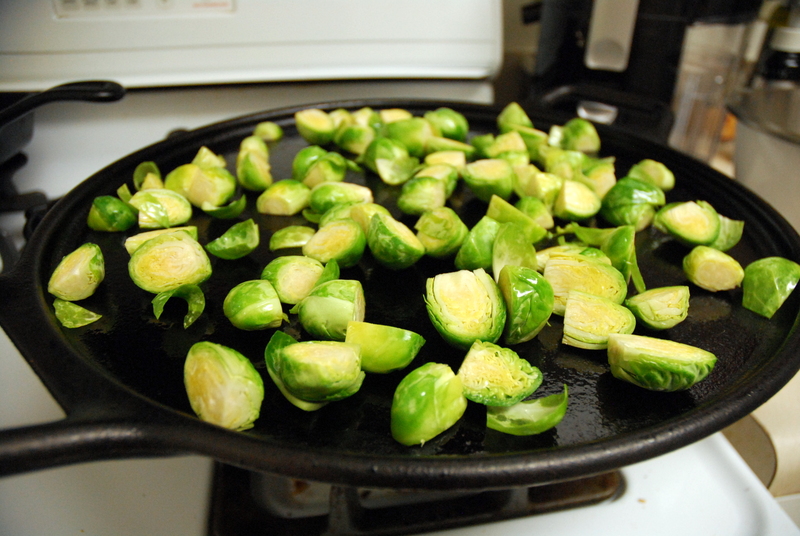 3) Toss the halved brussels sprouts in 2 tbsp of olive oil and put them on a baking sheet. 4) Roast them at 400 for 30 minutes, stirring occasionally. 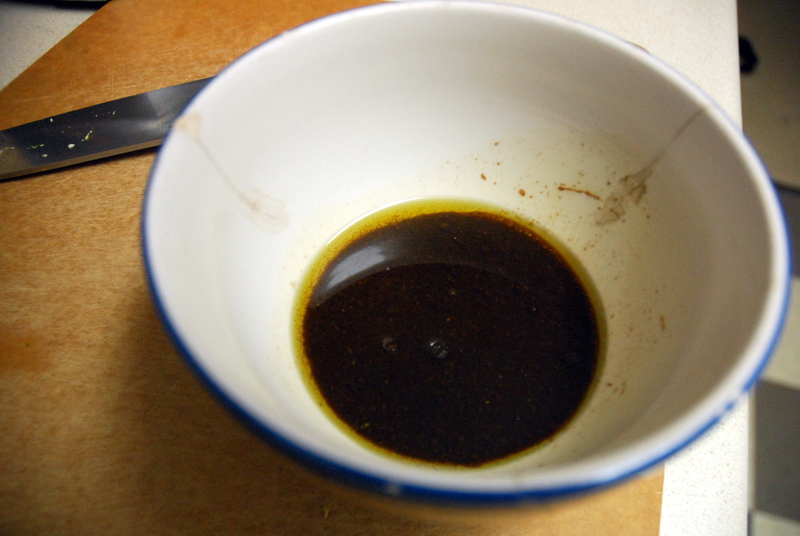 5) Meanwhile, mix together the 3 tbsp of olive oil, mustard, balsamic, agave nectar and worcestershire sauce in a large bowl. 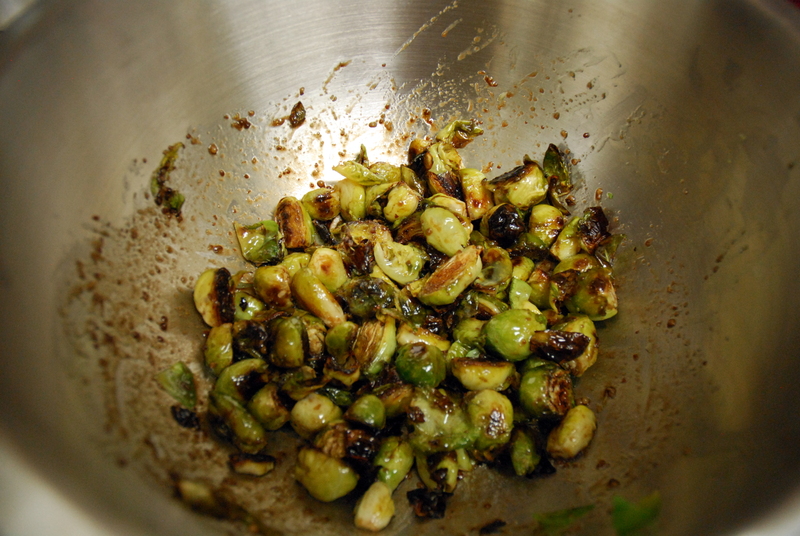 6) When brussels sprouts are done, toss them in the sauce. 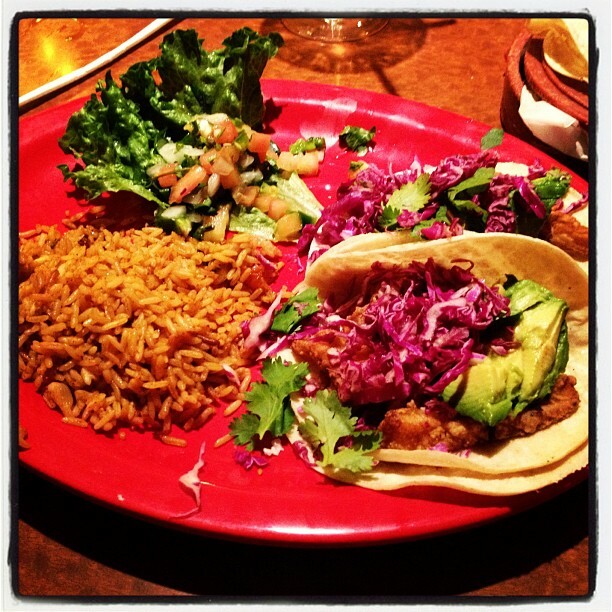 This entry was posted in Brussels Sprouts, Gluten-free, Recipes, Sides, Snacks and tagged balsamic, brussels sprouts, Houston, mexican, mustard, queso, savory, sides, sweet, texas, tortilla, vegetables. Bookmark the permalink. I’ve never tried roasting them with onions and leeks – good idea!! Do you think regular mustard would work, or would that ruin the recipe? I have never seen raspberry mustard, and probably wouldn’t buy it because I would have no other use for it. Yes, I think regular mustard would work – dijon, whatever you have. I actually used raspberry because that’s what I happened to have. Hope you get a chance to make them and like them!